Whipping up a jar of your own feta cheese dressing doesn't take very long and it will add authentic Greek flavor to your meals. Give any salad a Greek twist with homemade feta cheese dressing. There are numerous ways to make feta dressing. Here are some recipes to get you started. Combine all of the ingredients in a covered jar or shaker, and shake until well mixed. Keep refrigerated for up to two weeks. Mix all of the ingredients in a covered jar, and shake well. This makes approximately one pint of dressing and will keep for two weeks in the refrigerator. Place all ingredients in a blender, and process them until smooth and creamy. 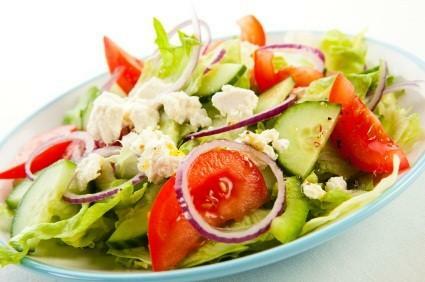 It is impossible to imagine a good Greek salad without a feta salad dressing. Although you can pick up bottled feta dressing at almost any grocery store, it is simple and economical to make at home. You can also use it on an antipasto tray as a dip for raw vegetables or warm and crusty Italian bread. Use it in sandwiches or as a sauce for chicken or beef. It will soon become a staple ingredient in your kitchen.